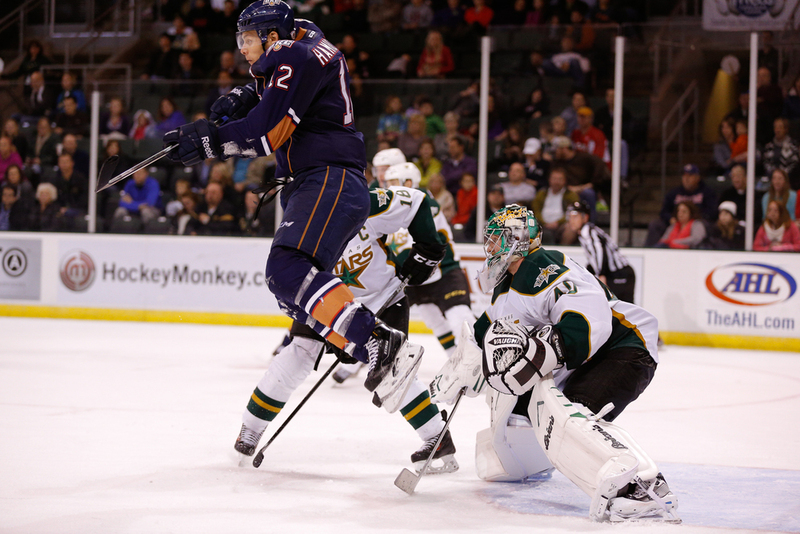 I'm sometimes amazed at how high hockey players can jump while wearing their skates and pads. 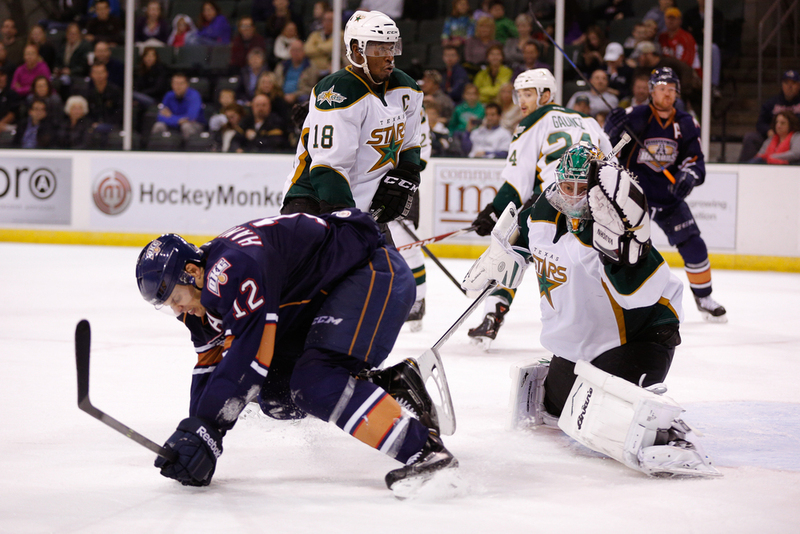 I caught this burst sequence over the weekend as the Texas Stars met up with the Oklahoma City Barons in a pair of games. Timing is critical in a play like this. The offensive player does his best to screen the goalie, jumping out of the way as a teammate slaps the puck toward the net. A goal might be scored or the player might feel some pain from a hard hit puck. Sometimes the landing can be a bit rough if the skates don't bite the ice or a defenseman knocks the player out of the air. 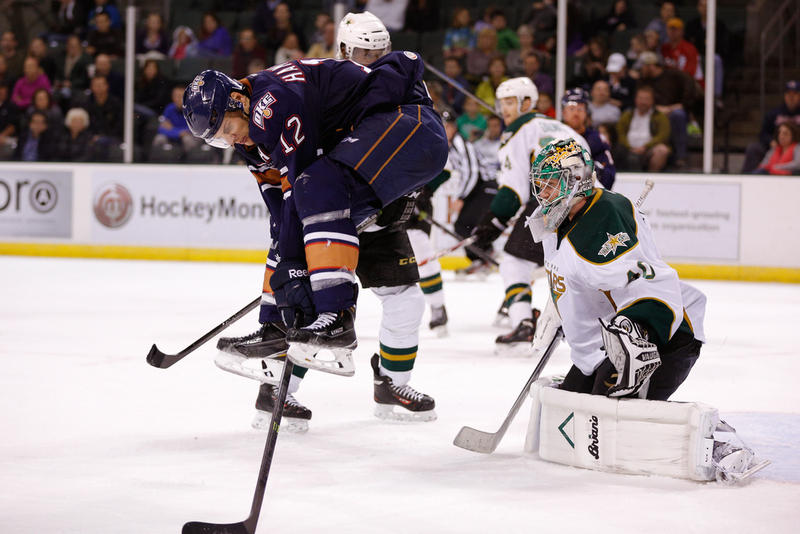 Fortunately for the Stars, the puck didn't go in on this one. The scorcher of a shot missed the net and our goalie's glove - moving so fast that my camera 6fps wasn't fast enough to get it in a frame. A lot can happen in a split second in this game.